The Confederation of European Environmental Engineering Societies, CEEES, is a forum for international co-operation and information exchange regarding the resistance and integrity of products and systems against environmental influences. It was created as a co-operative body for the leading European societies in this field. CEEES was created, some 30 years ago, as an independent non-profit organisation to promote the advancement of science and technology in the field of environmental engineering. Since its inception CEEES has organised and supported the exchange of information and experience in all the related fields. CEEES also promotes European participation in national symposia and arranges international conferences on environmental techniques and their application. It also encourages the member national societies to support each other's activities. The CEEES stakeholders are active in the establishment of; national and international standards, codes of practice and the generation of educational material. Its stakeholders are particularly active in procedures related to ensuring the resistance and integrity of products and systems against environmental influences. CEEES technical advisory boards encompass mechanical and transportation stresses, stress screening, reliability and the effects of climate and pollution on equipment and structures. The advancement of science and technology related to the field of environmental. The exchange of information and experience. Arranging international symposia and workshops. Participation in establishing standardization and best practices. Encouraging members to support each other. Achieving recognition of Environmental Engineering and Environmental Engineers. CEEES welcomes and encourages participation from organizations and individuals. It especially, welcomes contribution from those with an interest in environmental engineering and working with design and testing methods to enhance the integrity, performance and service life of products and systems. CEEES activities are normally channelled through the national societies; however, it also collaborates with partner organisations including the U.S. Institute of Environmental Science and Technology. Within Europe it supports the founding of similar minded societies in countries, which at present do not have a national society promoting environmental engineering. The CEEES brochure recently updated on behalf of CEEES, by GUS, the German National Society, can be downloaded here. 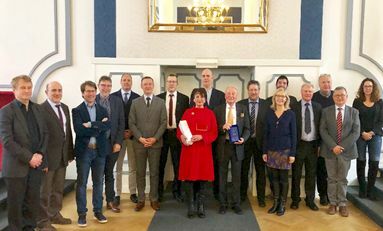 The spring meeting of CEEES took place on Tuesday 12th March 2019 at the Club Prince Albert, Rue des Petits Carmes, 20, Brussels, Belgium. The day started with a combined meeting of the CEEES Technical Advisory Boards (TABs). As part of this meeting the three TAB chairs reported progress of their respective TAB and on potential future activities. Following a late lunch, the hand-over of the CEEES Presidency from David Delaux to Peter Eriksson was completed. Although, the formal transfer of Presidency had taken place at the meeting in Denmark, certain aspects were deferred due to lack of time. This included acknowledgement of the gratitude and appreciation of CEEES to both David Delaux and Patrycja Perrin, both from ASTE, for their efforts over the previous two years. The CEEES meeting also paid an emotional farewell to Commander Chevalier Francois Crepain. Francois is retiring both as the CEEES treasurer and as a member of the BSMEE (Belgium) delegation to CEEES. Francois was the President of CEEES from 2002 to 2004. He took over the role of CEEES treasurer in 2006 and has held that post ever since. Peter Eriksson expressed the thanks and appreciation of CEEES for the efforts of Francois in magnificently meeting the obligations of the role of treasurer. Peter presented Francois with a memento of his time with CEEES. Following the presentation to Francois the CEEES meeting promenaded from the Club Prince Albert to the BOZAR Museum. At the museum the CEEES delegation was given a guided tour of the museums painting and tapestries. Following the tour the delegates met for dinner arranged by Patrycja Perrin. 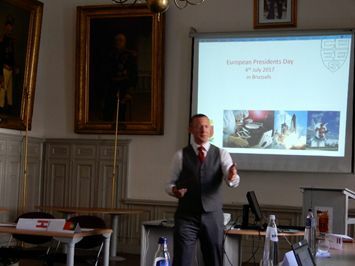 The following day the CEEES meeting convened at the Royal Military Academy of Belgium. The day started with the deferred meeting of the CEEES council. During this meeting Pasi Valimaki (Kotel) was confirmed as the CEEES Vice President. Following the council meeting two technical presentations were made. The first presentation was by Alessandro Carrella (Siemens, Belguim( on "New Acoustic Test Methods for Satellites". The second presentation was by Prof. Felician Campean (University of Bradford, UK) on "Automotive IVHM: Towards Intelligent Personalised Systems Healthcare". Following lunch there will be a guided tour of the laboratories of the Royal Military Academy by Jonathan Martino (ably assisted by several other members of the staff of the Royal Military Academy). This encompassed EMC chambers, vibration test equipment, explosive /shock testing facilities, munition investigation laboratories, wind tunnels and unmanned vehicle workshops. Published by New Generation Publishing, 2019. ISBN 978-1-78955-401-4. Hardcover. Available on-line from Amazon, Waterstones, etc. This new book (published 17th January 2019) by Andy Tomlinson has grown out of a range of short courses which he has delivered for industry over the last 35 years, many in conjunction with the UK Society of Environmental Engineers. It provides a comprehensive introduction to the subject for the novice environmental test engineer and will be an essential reference book for the test laboratory. Whilst, numerous publications are available covering the individual themes of vibration, shock, temperature, humidity, etc., this text draws together these important topics and provides, with a practical focus, an inclusive view from the perspective of an environmental test engineer. Dynamic Testing Overview; Signals and their Representation; Vibration and Shock Measurement; Electromagnetic Vibration Generators; Power Supplies for E/M Generators; Mechanical (Classical) Shock; Shock Response Spectra; Signal Analysis Techniques; Vibration Fixtures; Vibration Control; Maximax Response Spectra; Fatigue Damage Spectra; Climatic Testing Overview; Temperature Testing and Measurement; Humidity Testing and Measurement; Climatic Control Systems; Heating and Refrigeration Plant; Altitude Testing; Solar Radiation; Measurement Uncertainty; Contamination Testing. Andy Tomlinson was a senior lecturer at Cranfield University, where he ran contract research activities and built a significant portfolio of training courses in environmental testing. 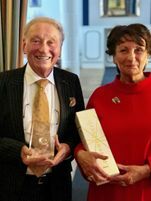 After retiring from Cranfield he ran his own company which provided short courses on a variety of environmental testing topics, training over 4000 delegates from the UK and Europe. Andy is a professionally registered Chartered Engineer in the UK and an Honorary Fellow of the Society of Environmental Engineers. The International Electro-technical Commission (IEC) has introduced a new process allowing anyone to comment on publically available standards. Comments can be submitted even if you are not part of the National Committee working on that standard or even whether your country is an active participant in the creation of that standard. The documents listed below are those currently available for public comment and which are also related to environmental testing or sustainability topics. Anyone can register comments on publically available draft standards, by using the "Public Commenting on Draft Standards" button available on the home page of the International Electro-technical Commission (www.iec.ch). The button is on the right hand side of the gray bar, located about halfway down the home page. You need to register, but this is only so that any comments submitted this way will be forwarded via the appropriate National Committee. If you register, you can also opt to receive weekly notification of any new draft standards publically available for comment. Document Ref. No: 56/1831/CDV, Issue Date, 18-01-2019, Comments Required by: 15-03-2019. Document Ref. No: 82/1531/CDV, Issue Date, 18-01-2019, Comments Required by: 15-03-2019. Document Ref. No: 82/1539/CDV, Issue Date, 08-02-2019, Comments Required by: 05-04-2019. Document Ref. No: 104/820/CDV, Issue Date, 08-02-2019, Comments Required by: 05-04-2019. Document Ref. No: 77B/798/CDV, Issue Date, 01-03-2019, Comments Required by: 26-04-2019. Document Ref. No: 104/823/CDV, Issue Date, 01-03-2019, Comments Required by: 26-04-2019. Document Ref. No: 48D/696/CDV, Issue Date, 15-03-2019, Comments Required by: 10-05-2019. Document Ref. No: 77C/285/CDV, Issue Date, 15-03-2019, Comments Required by: 10-05-2019. It is with great pleasure that we invite you to participate and to present a paper in the 9th European Weathering Symposium (EWS) (XXXIst Colloquium of Danubian Countries on Natural and Artificial Ageing of Polymers). The symposium will be held between the 18th and 20th September 2019 at Basel, Switzerland. The symposium language will be English. Launched in 1967 by four relevant institutes from Austria, Czechoslovakia, Hungary and Yugoslavia, the Colloquia of Danubian Countries have been the only exclusive meetings in the field of natural and artificial weathering of polymers. Relaunched as EWS they have attracted a broader scope of attendees. Contributions are invited to the Symposium which can either be presented as oral presentations or as posters. Those wishing to participate should submit an abstract, not exceeding 300 words, together with the exact title and name(s) of the author(s) and the type of presentation (oral/poster( by E-mail to secretariat@gus-ev.de. The form for abstract submission will be obtained, as a MS Word file, from www.weathering-symposium.org. Oral and poster presentations in written form will be published in the Symposium Proceedings, which will appear at the beginning of the event. Guidelines on how to prepare the text will be sent to the authors. The European Weathering Symposium is being organised on behalf of CEEES by the German Management Society for Environmental Engineering GUS (Gesell-schaft für Umweltsimulation e.V. ), supported by the Swiss Society of Environmental Engineering SVU (Schweizerischer Verein für Umweltsimulation). The participation fee is €550, for registrations up to 14th June 2019. This fee includes lunches and refreshments, technical tour, welcome reception, sight-seeing tour as well as the conference dinner. For registrations after 14th June 2019 the fee is €650. Ultrafine particles (UFP), the nano fraction of airborne particulate matter, are considered to be causing serious health problems and environmental effects. Although, combustion is a major source, ultrafine particles also arise from volatile organic pollutants which are converted in the atmosphere through photochemical reactions. Increasing applications of man-made nanomaterials add to the problem. A further interest in ultrafine particles results from their specific role in atmospheric processes such as cloud formation and precipitation and, in fact, in climate. The relation between ultrafine particles and human health and that of ultrafine particles and climate are both areas of active research and cross-links between these fields are found nowadays. The subtitle of the conference series: "air quality and climate" reflects this development. 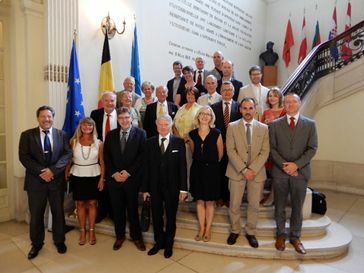 A meeting of the current Presidents of the National Societies comprising CEEES and the past Presidents of CEEES was inaugurated on the 4th July 2017 at the Royal Military Academy in Brussels. This unique meeting in the CEEES calendar had been instigated by the current CEEES President David Delaux and organised by the CEEES secretariat Patrycja Perrin. The purpose of this Presidents day meeting was to allow the exchange of information on the current status and future direction of the individual National Societies and to identify future roles for CEEES. The meeting started with short opening addresses from the current CEEES president and past presidents of the French and Belgium societies. After this, each National Society represented, gave a short talk on the status of their society and were it saw its future role. The majority of these talks were followed by a short question and answer session, allowing the remaining societies to establish a fuller understanding of the society’s future goals. At the end of the session the current CEEES President summarised the situation and aims. The Presidents day was punctuated by two breaks for cocktails to allow the current and past presidents to exchange ideas and to get know each other better. These breaks were also attended by the Presidents partners who were participating in a separate tour. After the meeting the Presidents and their partners adjourned to the nearby restaurant Le Monde est Petit, for a Presidents Day dinner. The Gesellschaft für Umweltsimulation (the German National Society GUS), has recently commissioned an update to the CEEES brochure. A downloadable version of the brochure is available as well as a high resolution printable version.